Is Your Cell Phone Ready For Travel? It doesn’t seem like it should be hard to get your mobile phone ready for travel. Throw the charger in your bag, stuff the phone in your pocket and you’re good to go, right? Sadly there are several ways using your phone overseas can go wrong, from power problems to cellular frequencies, locked devices to roaming charges and more. So you have your fancy smartphone, but how are you going to charge it? If it charges via a regular AC adapter in the wall, does your destination take the same type of plug? If so, you should be fine. Just double-check the voltage requirements (written in tiny letters somewhere on the charger) to make sure they match the power in your destination. If not, you’ve got a decision to make. You can buy a travel plug adapter that covers your destination, then plug your charger into it as needed. It adds a bit to the bulk and weight, but on the upside, you can use the same plug adapter for any of your other electronics as well. If you’ve got a few other USB-powered devices to charge, though, we’d suggest a different approach. Buy a 4-way USB wall adapter like this one, that comes with a bunch of different clip-on plugs. It costs the same as a plug adapter, works in most countries around the world, and lets you power several portable gadgets at the same time. Speaking of power, you’ll thank yourself for packing a portable battery. They don’t cost much, and even the smaller ones can recharge your phone at least a couple of times. When you’re searching for your hotel in the rain late at night after a long travel day, and your phone runs out of juice, remember this moment. Will your phone even have coverage where you’re heading? You may need to see if your mobile provider has a roaming partner in your destination. Check for a map or a list of countries on your provider’s website to make sure you’ll have coverage where you need it. The next (big) issue is roaming charges. These are often atrocious, and seeing the bill for the extra charges when you arrive home could easily ruin your trip. A few companies have seen the light, and offer cheap or even free roaming to their customers. T-Mobile in the US leads the way, with free data roaming on its Simple plan in 140+ countries. Google’s Fi service is a flat $10 per gigabyte in 135+countries, while UK provider Three lets customers use their existing plans in 42 other countries at no extra charge. Those are the exceptions rather than the rule, though. Check prices well in advance, and if your provider doesn’t offer a reasonable deal, turn off data roaming or use local SIM cards (as below) while you’re away. Do You Have a “World Phone”? It’s not so surprising that different wireless technologies are used in different parts of the world. Let’s face it, if we can’t even agree on power sockets, what hope is there for anything else? These days, CDMA isn’t available in all that many places. It’s still used by some carriers in the US (like Verizon and Sprint), and you might get roaming coverage in places like China, Japan, South Korea and a handful of others if you have a CDMA-only phone. GSM, on the other hand, is much closer to a global standard. It’s the prevalent technology in Europe, Asia, Africa and elsewhere. 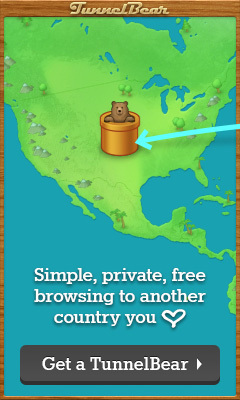 Basically anywhere that isn’t the USA or Canada, it’s all there is, or at least the most popular option. So, if you have a recent model of GSM phone, you’re off to a good start when it comes to using it elsewhere in the world. Some of the phones sold by companies like Verizon on its CDMA network also have GSM support for use overseas. If your phone has a SIM card slot, it falls into this category. Wireless frequencies are a much trickier beast. Different countries and different providers ‘talk’ on different frequencies to your phone. If your little smartphone doesn’t support them, it’s going to be awfully quiet waiting for those calls from your Mom wondering where you are. Things have at least got better in this regard in recent years. Now, if you’ve got a recent GSM smartphone, you can likely get calls and text messages on any local GSM network. Data can still be tricky, though. 2G support is most common, and 3G support is reasonably likely. 4G/LTE data, though? God only knows. North American phones almost always won’t get LTE outside the Americas, and vice versa. There are so many variations, though — even between different cell companies in the same country — that there’s no simple yes or no answer to anything involving using LTE on a phone outside the country or region it was bought in. For a little more certainty, check which bands your phone can handle, and cross-reference it with this list of which bands are used where. And then cross your fingers. In our experience, we don’t expect to get LTE anywhere outside the regions we bought our phones — so if we do, it’s a nice surprise. Fortunately 3G speeds are fine for most travel purposes, and are much easier to get. If you’re going away for longer than a couple of weeks, unlocking your phone can save you big money while you are away. With an unlocked phone, you’re not tied to your cell company from back home. Instead, when you touch down in Thailand, New Zealand or wherever, you pick up a new SIM card from a local carrier. Now you can enjoy local calling, text and data rates for a fraction of what it would cost to “roam” with your usual carrier. Much of the world works mainly on the “Pay-as-You-Go” model, so you don’t need to sign up for monthly plans or lengthy contracts. Instead, you just buy a package for a few days or weeks. Once you leave the country, just discard the SIM card. If you bought your phone for a discounted price by signing up on a contract with your wireless provider, there is a good chance it’s locked. Even if you paid full price, it may also be locked. You’ll need to unlock it to be able to use a SIM card from another carrier. How do you unlock your phone? That’s where things get interesting. The first thing to try is to contact your mobile carrier to see if they’ll do it for you. They may do it for free, or charge a fee… or they may not do it at all. The longer you’ve had your phone, the more likely they are to do it, but each company is different. Take a look at this page for the policies in a few different countries. Even if you’re not officially eligible, though, you should always ask. If your carrier won’t unlock your phone, you can try to find the appropriate unlocking code yourself. Companies like Unlock Base sell these codes for a few dollars. They won’t necessarily work for every device, but the company promises to return your money if there’s a problem. If it’s all sounding a bit complicated, take it to a specialty phone shop that might be able to help out. You’ll find them in most towns and cities, and pretty much on every street corner in some developing countries. There’s no harm in asking, at least. Now that you and your phone are venturing out into the real world, you’ll need to protect your Facebook-updating baby from everything travel might throw at it. We like understated designs that don’t scream “COME STEAL MY FANCY PHONE,” but everyone is different. We covered several of the best options for iPhone here, and a quick search on Amazon will turn up many more for other devices. What If You Can’t Get It Working? If your phone isn’t going to be usable overseas — maybe you can’t get it unlocked, maybe it just won’t work in the country you’re going to — you’ve got several other options. Only use Wi-fi networks: even if your phone is in flight mode, you can still use wireless networks anywhere you can find them. You won’t get hit with roaming charges, and can still make phone calls with tools like Skype or Google Hangouts, and send and receive messages via WhatsApp, iMessage or many other apps. Many travel apps work fully or partially offline (here are 25 of them to get you started), so your phone is still useful while out and about. Just remember to use a VPN to keep yourself safe on public networks. Use your tablet instead: if your tablet has cellular capabilities, use that instead. It’s very rare to find any tablets that don’t have unlocked SIM card slots, including iPads, so just buy a local SIM in your destination and drop it in. Again, Skype, WhatsApp and similar apps can replace calling and texting, and you can turn the tablet into a personal hotspot to share the connection with other devices. Buy a cheap unlocked smartphone: there are a few good budget smartphone options out there, and it’s possible to get something decent for around $200. The Asus Zenfone has expandable storage, fast charging, dual SIM cards and a good camera by budget standards, while Motorola’s Moto G has been a firm favourite for years. Both come unlocked for use with local SIM cards. Buy or rent a wireless hotspot: hundreds of companies rent wireless hotspots, which let you share a single mobile connection among several other gadgets. Some are aimed at a single or small number of countries, while others work all over the world. You typically pay by the day or week. You can also buy your own hotspot, which could make sense if you’re travelling regularly or for a long time. Just like a phone or tablet, you buy a local SIM card and drop it in the hotspot to use it. There’s no doubt getting your phone working overseas can be frustrating. It’s worth spending the time to research and check your options up front, though, to work out what’s best for your particular situation. It could easily save you hundreds of dollars, and plenty of frustration, on your next trip. For even more on the best way to use your phone on an international trip, check out our guide to using your smartphone overseas. Original article written in 2012 by Dustin Main, updated and expanded in 2016. Good info and I have followed most of it but I’ve come to a screaming halt. I am currently in the US and plan on moving on soon, so I bought an unlocked Motorola G on line. It is new, not refurbished – at least that’s what it was sold as – but I can’t get it activated with a pay as you go carrier here because ‘the serial number is not in our system….therefore it must be a stolen or lost model’, which is BS. Am I missing a step here? Hmm some carriers (typically in the USA, but not around the world) do something like this, but it’s not the norm. Maybe check with another carrier, or maybe even another shop. Be sure to let them know that you’re bringing your own, unlocked phone.